Marketing is all about trying to influence people. But here’s the thing: How can you possibly influence people if you don’t really understand them? My thoughts exactly. Which is why, in order for marketing to be successful, it helps to first understand the psychology behind consumer behavior. What makes people tick? Why do people tend to make certain decisions and not others? And most importantly, what can you do to get people to not just buy from you, but turn them into lifelong advocates for your brand? This blog post will help you figure out how to do that. Intrigued? 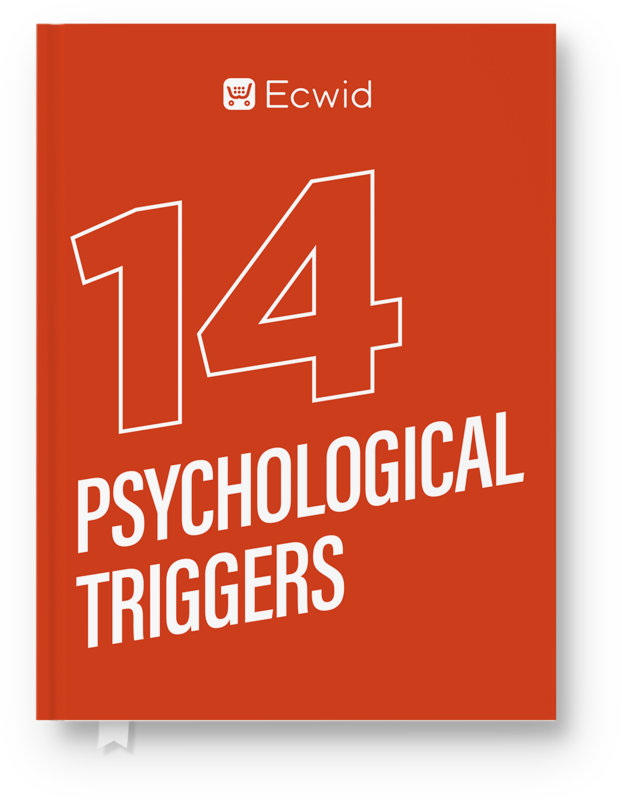 Read on to find out 14 psychological triggers that you can take advantage of in your marketing. Ever notice how just when you find out that something (or someone) is unavailable, you want it much more? It’s totally irrational and yet…normal. Whether it’s a person, a product, a career, or whatever else, we all seem to want what we can’t have. When something (or someone) is desired by others—or if that something seems to be off-limits, exclusive, or difficult to obtain—we crave it more. It’s just human nature. Show your remaining stock levels. Emphasize the fact that your products are running out. 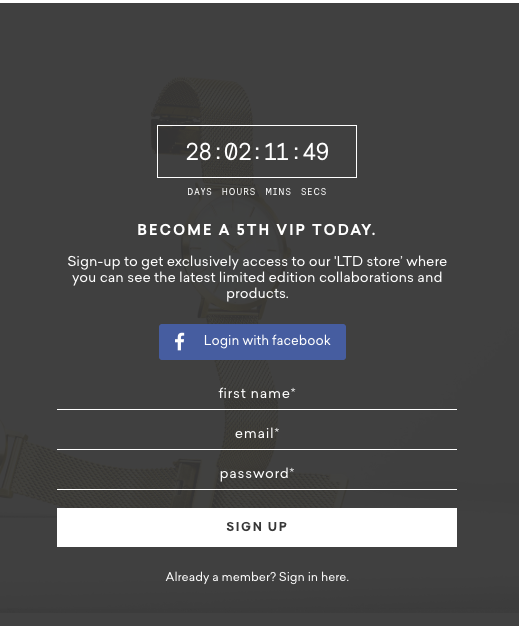 Or you could imitate the 5th and make a few products available only during certain times of the month—and then show a countdown clock counting down the hours and minutes until those products become available. Whatever you do, highlight the fact that your products are coveted, special and exclusive—and in all likelihood, your customers will come to believe it. Imagine this scenario: One of your good friends is moving to a new house and asks you for some help with the move. Would you agree? If you’re like most people, the answer is yes (assuming that you have no prior obligations, of course). But how about this: That same good friend is moving and says that they will pay you $10 to help with the move. Now would you agree? 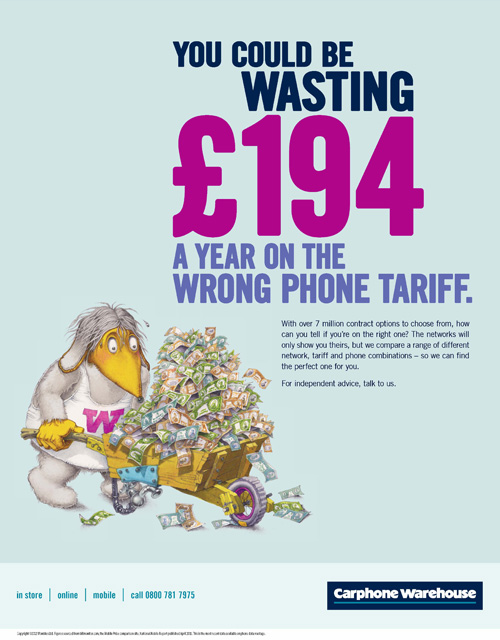 If you’re like most people, you might feel a bit cheated or even offended by such a low price. My time is more valuable than that, you might say. You also might feel a bit weirded out that your friend offered to pay you for a favor in the first place. But in the first scenario, you’re not being offered any money at all…$10 should be better than nothing, right? So what gives? Why would you agree to help your friend move for free but not for a measly price of $10? It has a little something to do with social and market norms. Just like they sound, social norms are the norms that exist between family and friends, whereas market norms are the norms that are tied to the business world and involve some sort of exchange. Social and market norms also help explain why it would be really strange to show up at a dinner party and hand your host a wad of cash (yet totally acceptable to hand over a bottle of wine). You can see that Chubbies talks to their customers in a very playful, informal manner, as if they were close friends. But let’s say you read that email and decide to buy one of their shorts. Then after the shorts arrive, you change your mind and decide to return them. But you call the customer service line and it rings incessantly…no one answers. Or someone answers, but they are rude and short with you. Or they speak to you like they are reading off of some script. They tell you unapologetically that you can’t return the shorts unless they arrived with a defect. You would probably feel a bit confused. 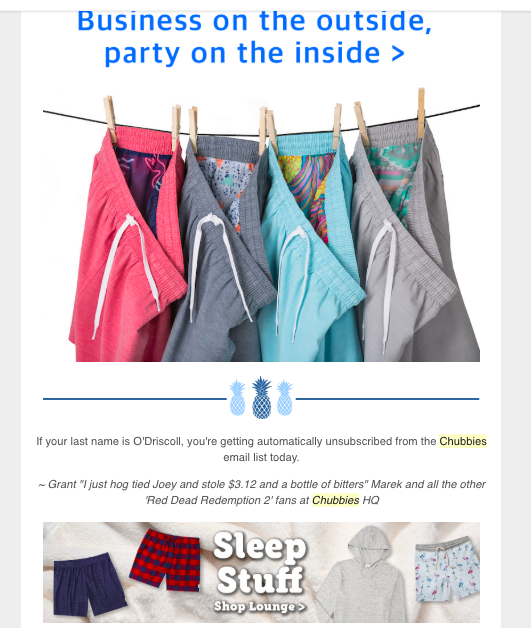 Because based on that initial email and your previous interactions with Chubbies, you might have expected them to be friendlier and more flexible. The mixing of social and market norms would probably throw you for a loop—and cause you to lose trust in the brand. Bottom line? If you treat and talk to your customers like good friends one minute and then turn around later and act very distant, robotic and cold, then your customers will take notice—and you will most definitely lose their trust. If you want to use social norms to connect with and relate to your audience, then that’s great. But keep in mind that it does require commitment. With social norms, you’ll want to treat each customer like an individual, which means that you’ll probably want to have a very flexible return policy. Surprise your customers with a freebie or a handwritten thank-you card along with their purchase. Do like Zappos does and go above and beyond for your customers. Running a business using social norms might take more work, but if you stick with it—and don’t introduce market norms down the line—it will most likely pay off. 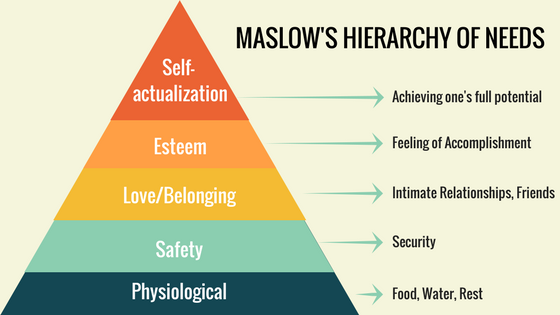 According to an American psychologist Abraham Maslow, people have a hierarchy of needs that they are constantly seeking to fulfill. The hierarchy of needs is arranged in a pyramid, with the most basic needs, at the very bottom of the pyramid, being fulfilled first, and the less important needs being fulfilled (or seeked out) once those basic needs are met. First comes physical needs (the need for food, health, water and sleep). After that is the need for security and shelter. Once those needs are met, people look to satisfy their social needs (to love and be loved; to feel belonging). After that, people aim to satisfy their ego (to boost their self-esteem, confidence and power). Lastly comes the need for self-actualization or growth. If not, then your business is probably suffering as a result. Think about exactly what need your brand helps your customers to fulfill. Does your brand or product help your customers feel like they belong? Speak to their social needs. Do you help your customers feel like they are more powerful? Tell them how you satisfy their ego. Whatever need you are helping your customers fulfill, make sure that you are always reminding them of how you are helping them to fulfill that need. According to the mere exposure effect, people prefer things that feel familiar to them. The more that we are exposed to something (or someone), the greater liking we develop for that thing (or person). What You Can Do: Be consistent in your marketing efforts. Because the more consistent you are, the more familiar you will become to your customers—and the greater liking they will develop for your brand (and products). Have you ever noticed how food tastes better at an expensive restaurant? Turns out, there’s a reason for this: Our expectations shape our reality. So because you expect the food to taste better at an expensive restaurant, it does. Predictably Irrational author, Ariely, ran experiments that proved this. In both experiments, he gave the participants regular beer and beer with vinegar in it. In the first experiment he ran, he told the participants beforehand which one had vinegar in it. Most of them said they preferred the beer without vinegar in it. In the second experiment, he waited until after the tastings to tell the participants which one had vinegar in it. This time, many more people said that they preferred the beer with vinegar. Why? Because their expectations shaped their reality. Before they tried it, they expected the beer with vinegar to taste bad, so it did taste bad. But when they didn’t know what they were tasting beforehand, they were surprised to find that they actually did like the tampered beer. That’s also why more expensive medicine works better than cheaper medicine (even when they are exactly the same). What You Can Do: Prime your customers with things like a high-quality website and beautiful packaging. Don’t devalue your products—sell them for what they are worth. Because all of those things will set expectations for your future customers and will ultimately impact the experiences that they have with your products and brand. What do the Mona Lisa, credit cards, hurricanes and the iPod all have in common? 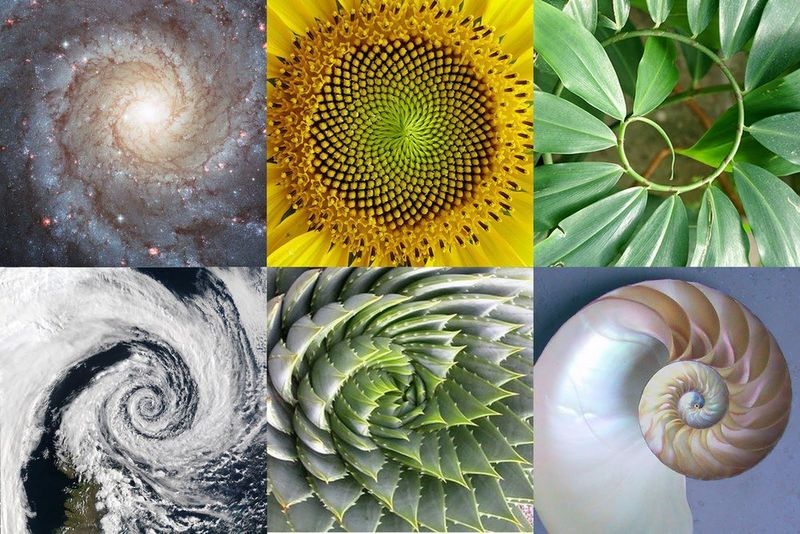 They all are shaped using the proportions of the Golden Rectangle. To some degree, beauty is in the eye of the beholder. But for whatever reason, one thing does seem to be universal: people around the world are drawn to the proportions of the Golden Rectangle. What You Can Do: Use the Golden Rectangle in your website design, blog posts, logo design, product design…wherever you possibly can. Don’t have the skills to do all of that? Hire an eCommerce web design agency to do it for you. Download a handy checklist to keep these sales triggers at hand. If you lost $1,000 in a bet, chances are, your day (or maybe even your week) would be ruined. Whereas if you gained $1,000 in a bet, you might celebrate a bit…but you would be much more upset to lose the money than you would be happy to gain it. People hate losing things, whether it’s a product, money or whatever else. Once we acquire something, it becomes difficult to let it go. In short, loss aversion theory says that we care more about losing something than gaining something of equal value. This also helps explain why we assign a much higher value to things that we own than things that we don’t own. One study confirmed this, finding that people who owned mugs assigned a significantly higher value to those mugs than their potential buyers did. What You Can Do: Instead of always telling your customers what they will gain by purchasing your product, consider telling them what they will lose by not owning it. Or tell them how your product will help them to avoid losing what they already have. Just don’t exaggerate or go over the top with this. Otherwise, your efforts could backfire, and you could end up losing your customers’ trust. Lastly, you could use loss aversion to cross-sell or upsell to your customers. For example, almost every time I buy an Apple product, I buy the guarantee, AppleCare, because I fear what will happen if I don’t: a broken or lost product that can’t be fixed (a.k.a. Lots of money down the drain). Loss aversion is what makes me spend the extra money on that extended warranty. People don’t just assign a higher monetary value to things that they own—they also actually become emotionally attached to their belongings. And this can happen even before you own something. Virtual ownership is the feeling that you own something that you don’t actually own. And it’s often what pushes people to buy. You know, it’s that feeling you get sometimes when you walk into a store and just have to have something. What You Can Do: If you can, let your customers try out your product before they commit to a purchase. For example, the online prescription glasses and sunglasses company, Warby Parker, lets their customers order glasses to try on at home for free. 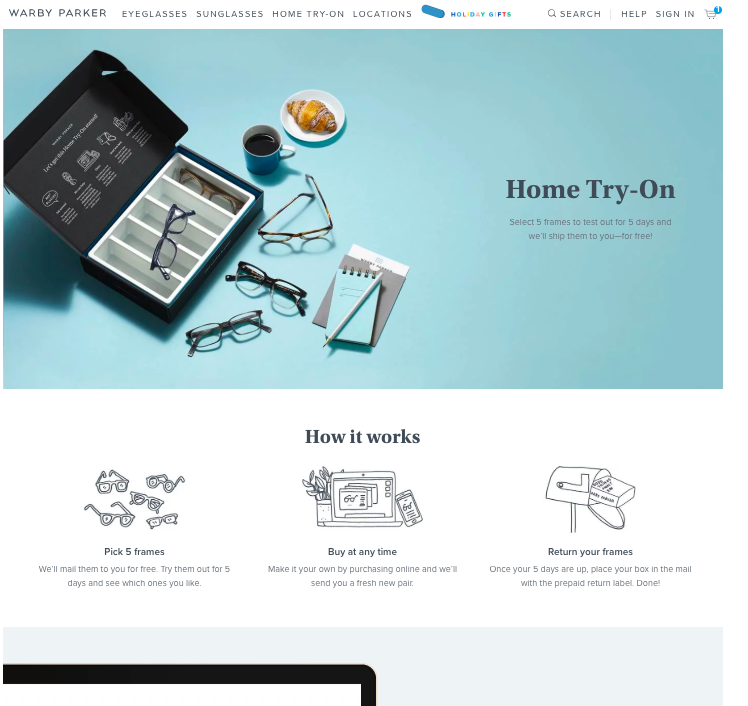 By offering a unique at-home try-on service, Warby Parker is able to stand out from the competition. They also eliminate the buying fear that most people have (will the glasses look good on me?). And many people who try on the glasses will inevitably develop some sort of attachment to them—and be more inclined to make a purchase. In Predictably Irrational, Ariely talks about one study he performed in which students were offered two different types of chocolates: a Lindt truffle for 26 cents and a Hershey’s Kiss for 1 cent. At these prices, 40% of people bought the truffle and 40% bought the kiss. But when the prices of the chocolates both dropped by one cent (so the Lindt truffle was 25 cents and the Hershey’s Kiss was free), 90% of people went for the free Hershey’s Kiss. And that’s the power of free. Later on, I went on the site to buy some sun protective clothing, but my order only came to $99…so I actually added another item to my cart just so that I would be eligible for the free shawl. I mean come on…it was worth $59.50! So with all of that being said, don’t underestimate the power of free. 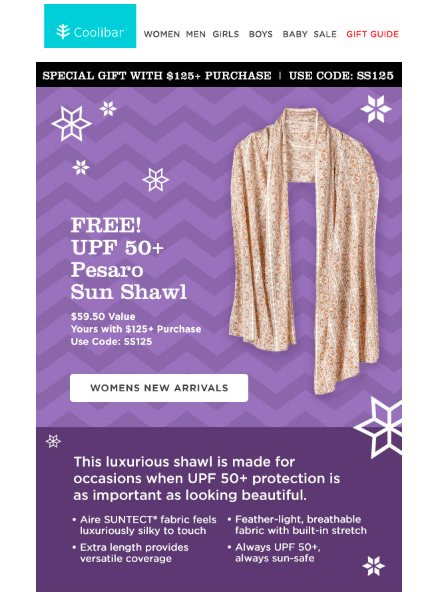 Treat your customers with a freebie when they place an order (even better if that freebie has a high perceived value, like that Coolibar shawl). Offer them a deal that’s too good to pass up. Provide them with free shipping. It might cost a bit more upfront to do those things, but chances are, it’ll be worth it. Human beings have been telling stories since the beginning of the time. And with good reason: Stories allow us to connect with one another and understand each other better. They entertain us. Hey, why do you think it’s so easy to become engrossed in a good movie or book? Moreover, people are more likely to remember stories. One study found that, after a number of one-minute pitches, 63% of people remembered the story, whereas only 5% were able to remember a statistic that was given. So if you storytell the right way, your story-listeners will likely turn into your customers. 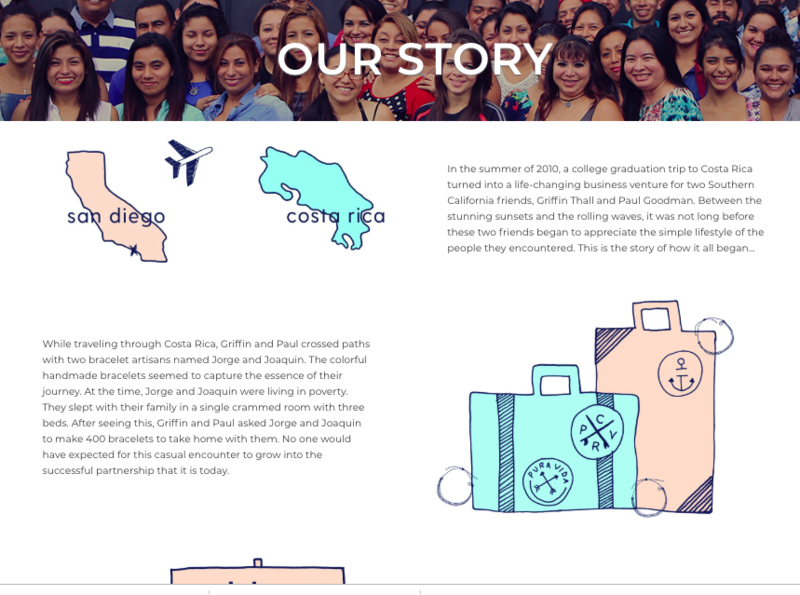 What You Can Do: Create (and tell) a story for your brand, in which your customer is the hero (not your product). Create content that engages your customers. Whether it’s in your blog posts, your emails or on your social media, find a way to relate to them. Your About page is a great place to do this. Instead of boasting about your accomplishments, your About page should be where you humanize your brand. Talk about your company’s humble beginning and where your team members come from. Although, they could make this page even better by adding pictures of the founders and maybe even sharing a few stories of the craftsmen who make the bracelets. Out of his 100 students, 16 chose the first option and 84 chose the third option. Not a single person chose the middle option. Why would they choose the print-only subscription when they could pay the same and get the print and web subscription? So he removed the middle option and presented a different group of 100 MIT students with just the first offer and the last offer. And guess what? This time, 68 students chose the first option and only 32 chose the third option. 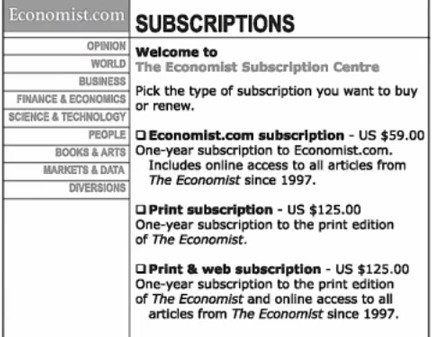 The print-only subscription wasn’t there anymore, so people no longer had anything to compare the print and web subscription with. So as a result, it didn’t seem like such a good deal anymore, and people opted for the cheaper option. Here’s another example that Ariely gives: In one experiment, people were offered a trip to Rome and a trip to Paris. Many people had a hard time choosing between the two. So the experimenters tried introducing a third option, where they offered: a trip to Paris with free breakfast, a trip to Paris without free breakfast, and a trip to Rome with free breakfast. This time, most people went with the first option—yes, even though the Rome trip had a free breakfast too! Because compared to the Paris no-breakfast option, the Paris with-breakfast option seemed like a really good deal. What You Can Do: Make decision-making a little easier for your customers by providing them with easily comparable options. Add a decoy (like the print-only subscription in the first example and the breakfast-free Paris trip in the second example) next to the offer that you actually want your customers to go with, making it clear which one is the winner. But then I moved abroad where things were a lot cheaper. In Spain, I was paying no more than $3 for a coffee, $3 for a glass of wine, and approximately $4 for a big bag of almonds. Then I came back to the U.S. and could barely stomach those prices that I used to pay. Living abroad had lowered my price anchors significantly. Price anchoring is where we establish a certain price for a product in our mind, and after that, we compare all similar products to that initial price. What You Can Do: Offer several different versions of your products. If you can, prime your customers with your more expensive product first, and then introduce your less expensive product after that. Being primed with an expensive offer will likely put a higher price anchor in your shoppers’ minds…so that the cheaper offer will seem inexpensive in comparison. Have you ever noticed how it’s much harder to break a goal that you set once you tell other people about it? 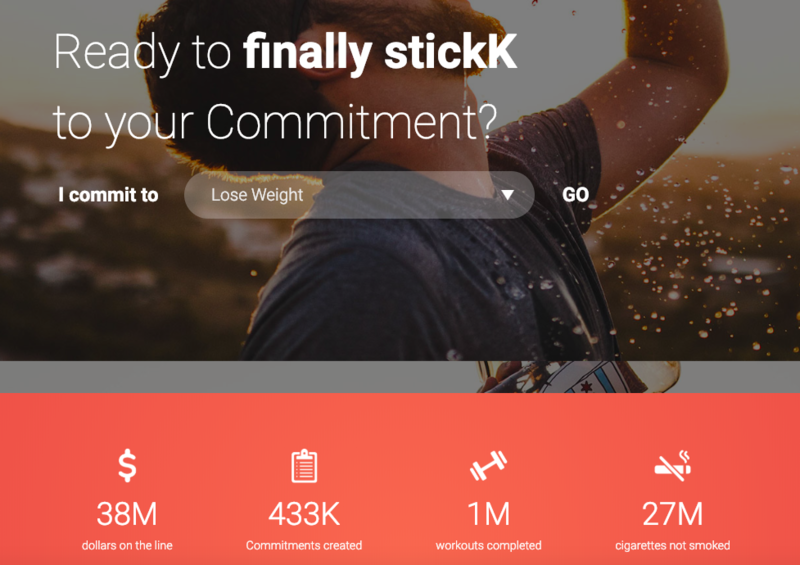 There are even some platforms that take advantage of exactly this: With Stickk, users pledge to accomplish a goal that they set for themselves by telling a group of friends about it and putting a sum of money on the line. The money remains theirs if they reach their goal, but if they don’t, it’s donated to charity or another cause. Stickk takes advantage of both loss aversion (people don’t want to lose the money that they pledge, so they work harder to complete the goal) and the fact that people want to be consistent in their behavior (once they tell friends about their goal, it becomes much more difficult to not follow through with it). What You Can Do: When it comes to your marketing, get your users to say yes once, and it will be much easier to get them to say yes to you a second time…and a third time…and, well, you get the picture. But in order to get that first yes, you’ve got to make sure that what you’re asking for is something small. You can’t ask your visitors to make a big purchase or commitment right off the bat. Instead, reel them in with a tripwire offer first. A tripwire offer is a low-priced offer intended to convert your visitors into leads right away, with the idea being that once they say yes to you once, they will be much more likely to say yes and buy from you again. Ever noticed how after you hear about something for the first time, you start seeing it or hearing about it everywhere you go? This is called the Baader-Meinhof Phenomenon and there are two reasons for it: Thanks to selective attention, your brain subconsciously pays more attention to that new piece of information you picked up. And because of confirmation bias, each time you hear about it is interpreted as proof that the subject is new and trending (whereas in reality, you just hadn’t been paying attention or aware of it beforehand). What You Can Do: This phenomenon helps explain why retargeting can be so powerful. Once people find out about your brand and product, they will naturally pay more attention to your ads. And they will pay more attention to any information that confirms what they already know to be true about your brand or product (or what you’ve told them about it). Hone in on your USP (unique selling proposition), and craft a message that proves to people just how great your brand really is. Then, retarget your potential customers with ads that drive home that message…again and again. From there, the Baader-Meinhof phenomenon should take care of everything else for you. Marketing is an ever-changing industry. Trends, technology and expectations will continue to change over time. But there’s one thing that won’t change (at least not anytime soon): the human brain. So take advantage of these timeless, aforementioned psychological triggers, and your business will reap the benefits. Guaranteed. Mary Blackiston is the Content Marketing Specialist for eScale, a full-service digital agency devoted exclusively to building and growing e-commerce stores.